One of the main food items that I really miss whilst following the Slimming World diet is juices and smoothies. 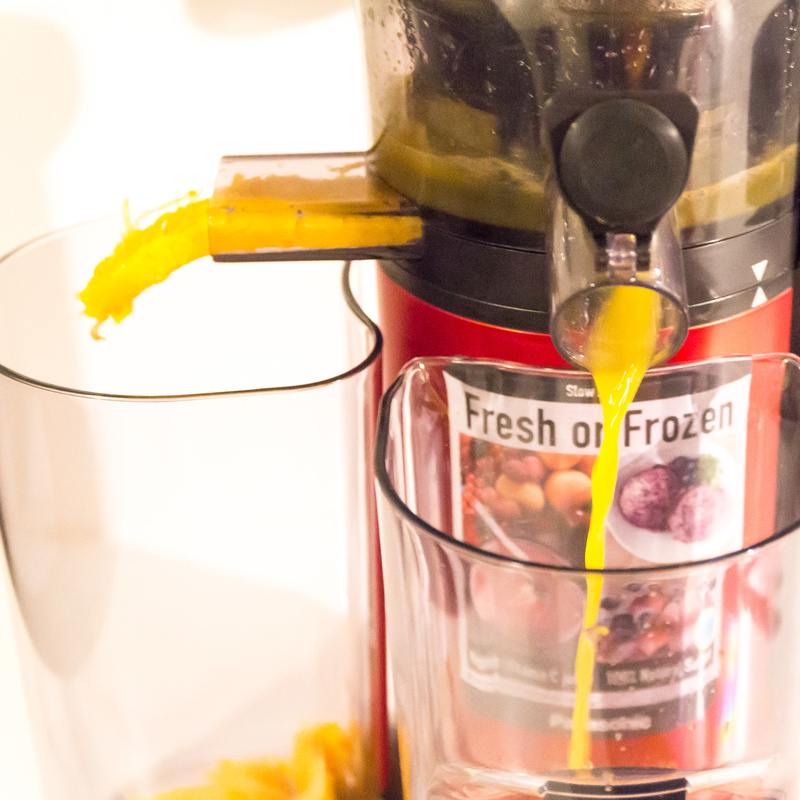 This has only been made harder by our new Panasonic Slow Juicer! (although jon is very excited by it and currently slow juicing everything in the fruit bowl). Whilst juice’s will remain an occasional treat I will be able to make a nice low syn icecream, frozen yoghurt or sorbet with the Panasonic Slow Juicer. 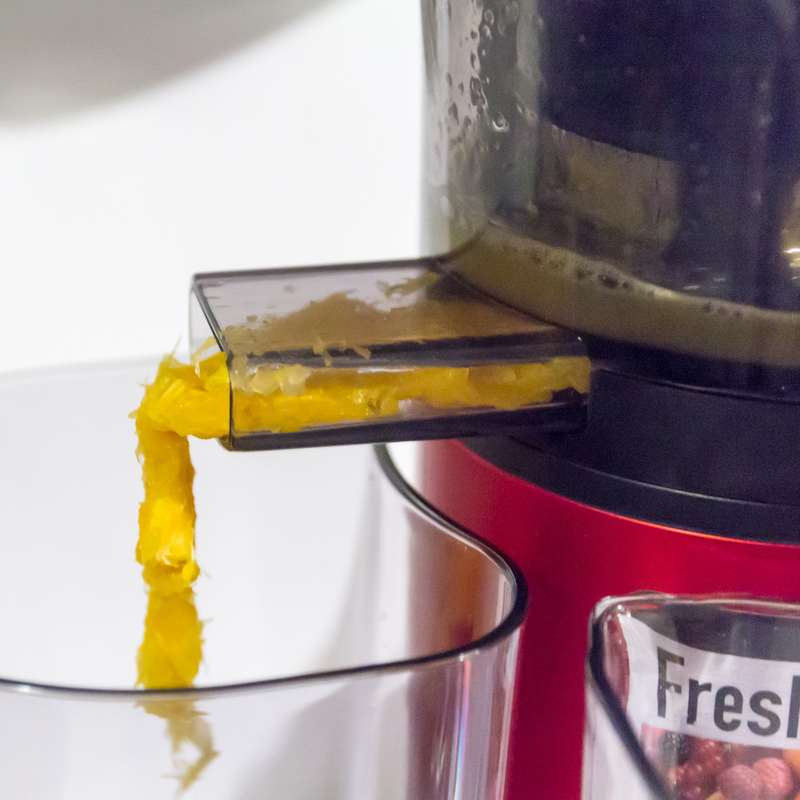 Jon was really impressed with the juicer, having never used any machine like this before. 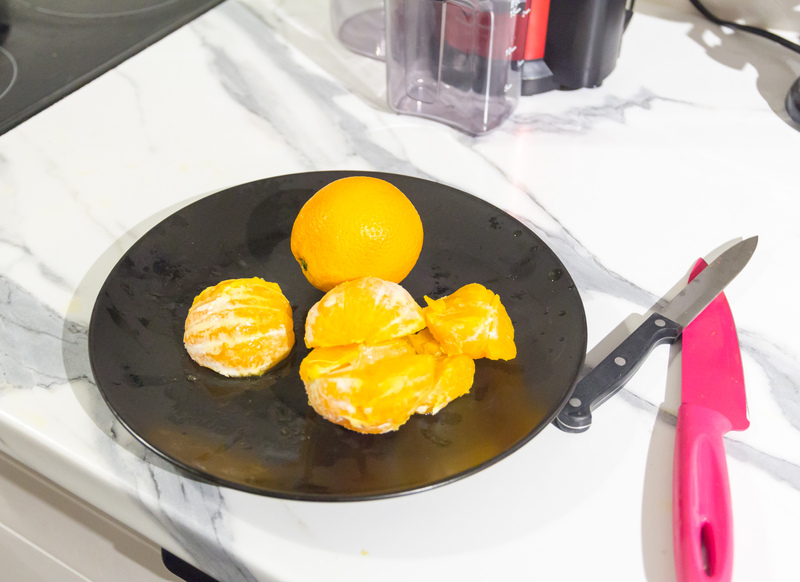 In the pictures you can see the amount of juice produced from 5 oranges. Just over 500ml in the end. The Panasonic juicer can be used on fresh fruit but also has an attachment to make sorbet as I mentioned above. The fruit ingredients for the sorbet, frozen yoghurt or icecream need to be frozen before hand for it to churn out tasty, natural and healthy treats. I cannot wait to give this a go! Issues that I have had with similar electrical items is that they can be hard to clean. Our soup maker is so hard to clean and has unreachable areas. 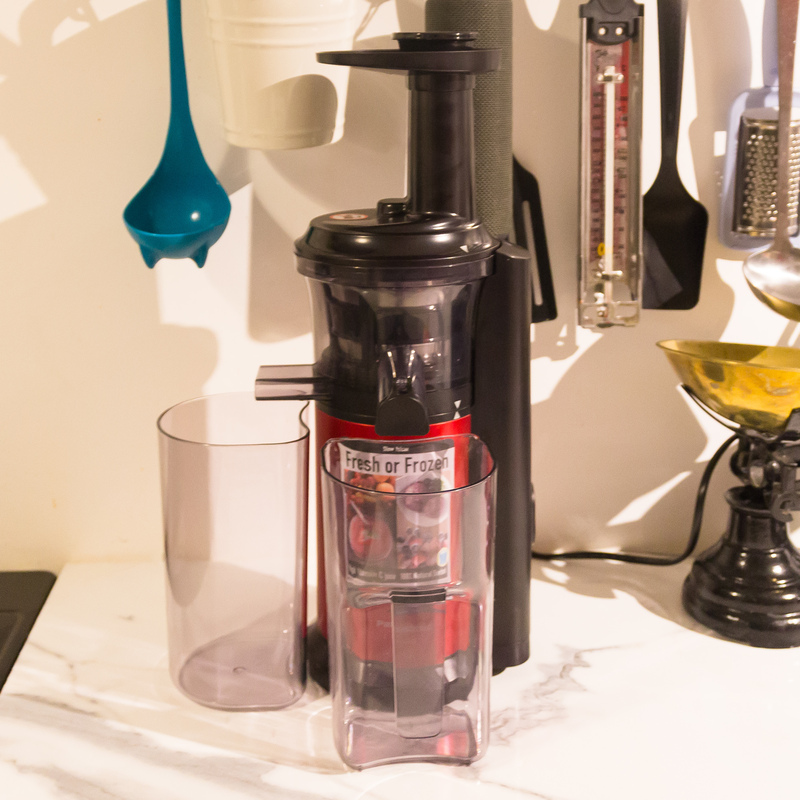 The Panasonic Slow Juicer is fantastically easy to clean. All elements detatch and other than the base unit can be put in the dishwasher. It also comes with a useful toothbrush cleaner that is remarkably useful. Whilst it is a Panasonic Slow Juicer the juicing process was remarkably quick, almost instant. You do have to prep the fruit which does take some time. Fruit with narrow skins can go in but the thick peel of our oranges had to be removed. I cannot wait to try out some new recipes and make some delicious sorbets easily. Jon is looking for some healthy juices he can make too! What’s your favourite juice or sorbet recipe?